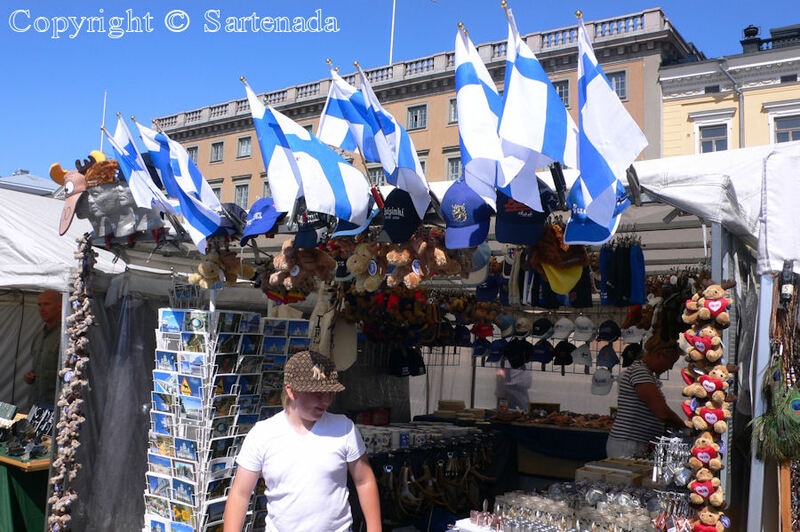 Helsinki market square is the first place what cruise tourist see when arriving to Helsinki. 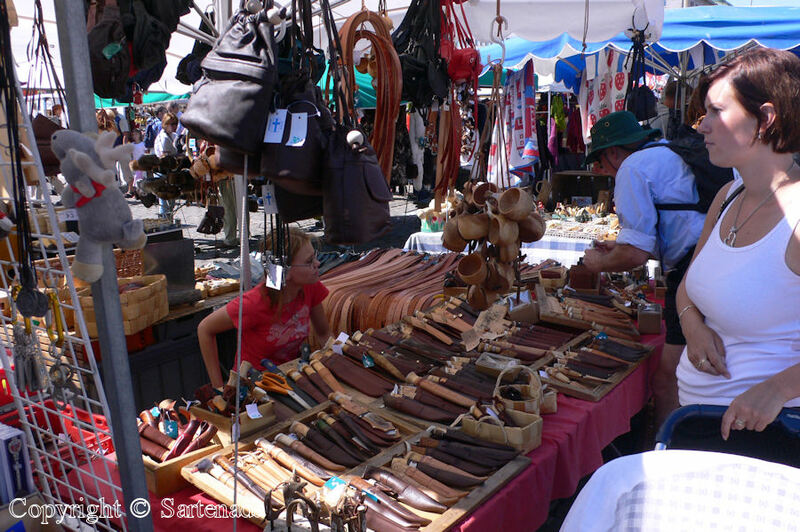 Prices of tourist articles are high, but within few hundred meters prices are become cheaper. 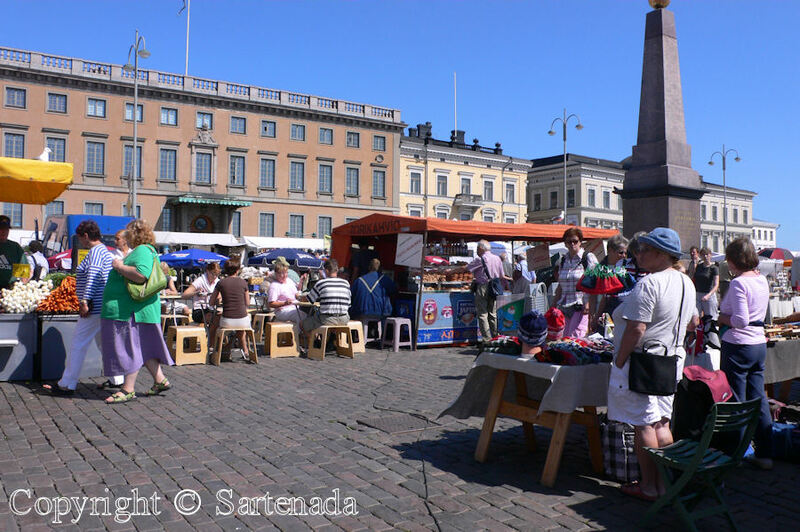 The market square for the citizens of Helsinki is meeting point and excellent place for shopping. 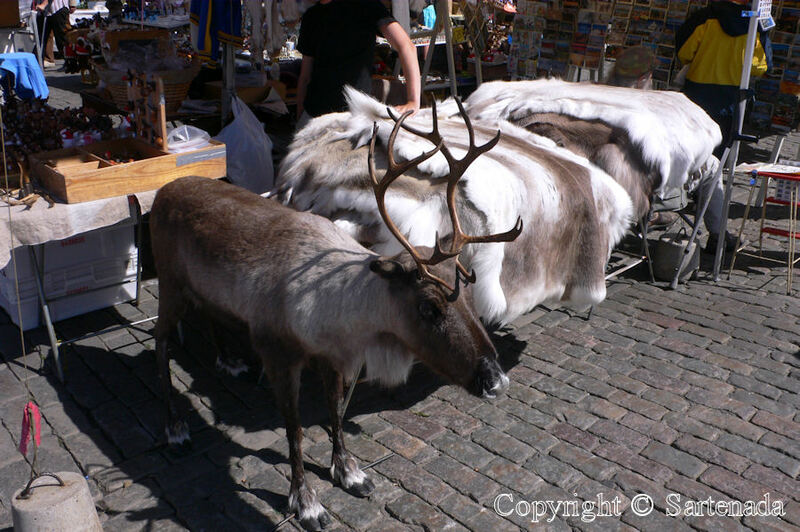 Within the range of one or two kilometers’ range Helsinki is offering some its most interesting and historical sites. My photos are from 2006. 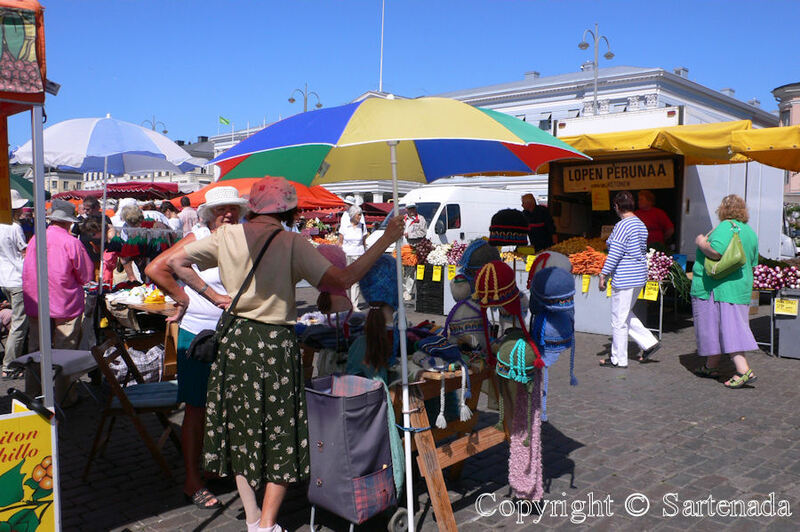 Plaza del mercado de Helsinki es el primer lugar lo que turistas de cruceros vean al llegar a Helsinki. Los precios de los artículos turísticos son altos, pero los precios dentro de unos cientos de metros son más baratos. 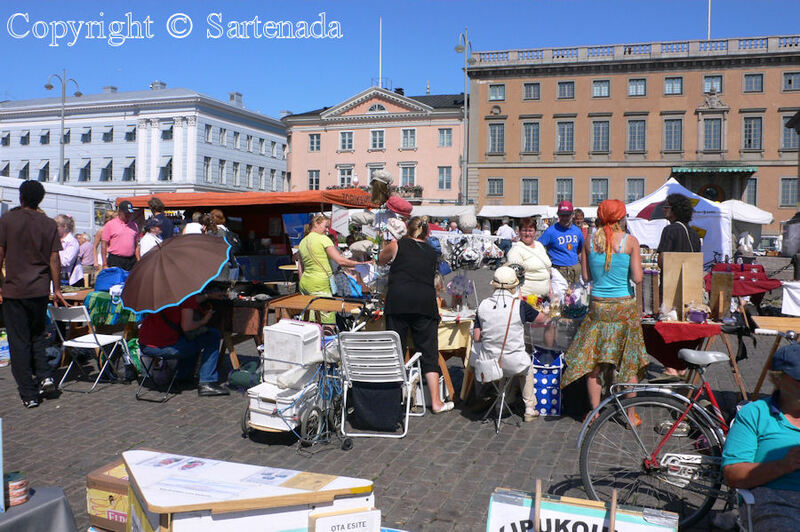 La plaza del mercado es para los ciudadanos de Helsinki el lugar de encuentro y un lugar excelente para hacer compras. Dentro del rango de uno o dos kilómetros’ rango, Helsinki está ofreciendo algunos de sus sitios más interesantes e históricos. Fotos del año 2006. 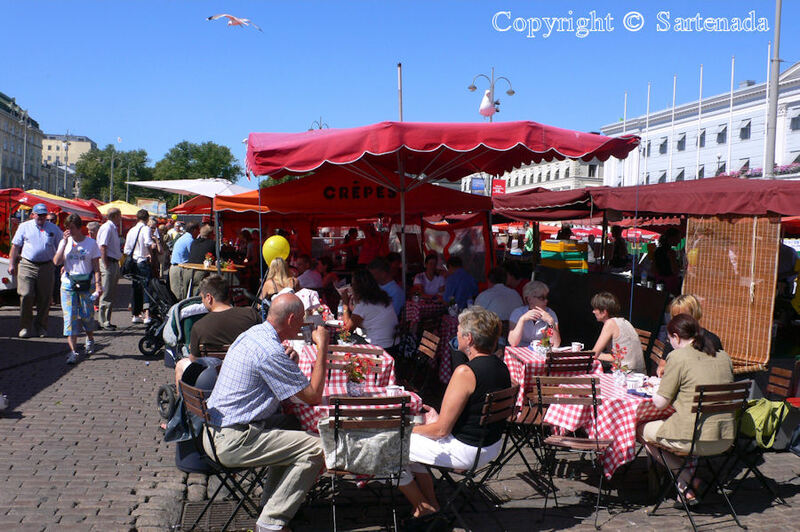 Place du marché d’Helsinki est le premier endroit que les visiteurs voient en arrivant sur les bateaux de croisière à Helsinki. Les prix des produits touristiques sont élevés, mais les prix à quelques centaines de mètres sont moins chers. 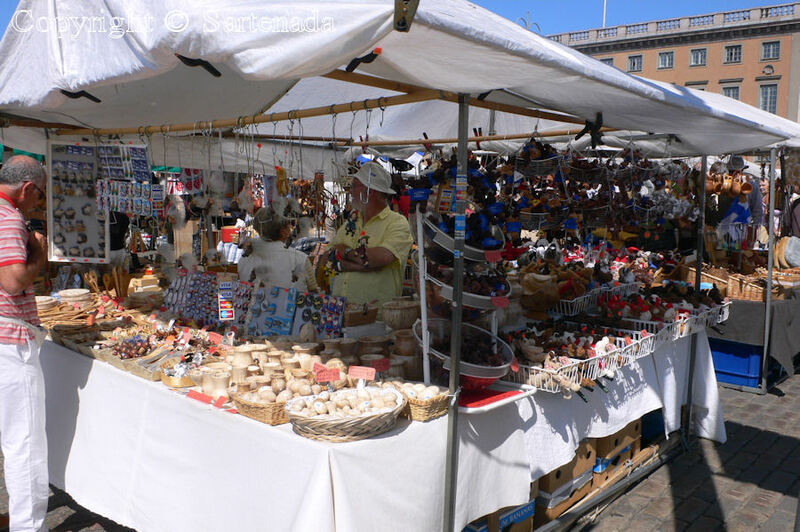 Place du Marché est pour les citoyens d’Helsinki, le lieu de rencontre et un excellent endroit pour faire shoppings. Dans le rayon de un à deux kilomètres , Helsinki offre quelques ses sites les plus intéressants et historiques. Photos de l’an 2006. 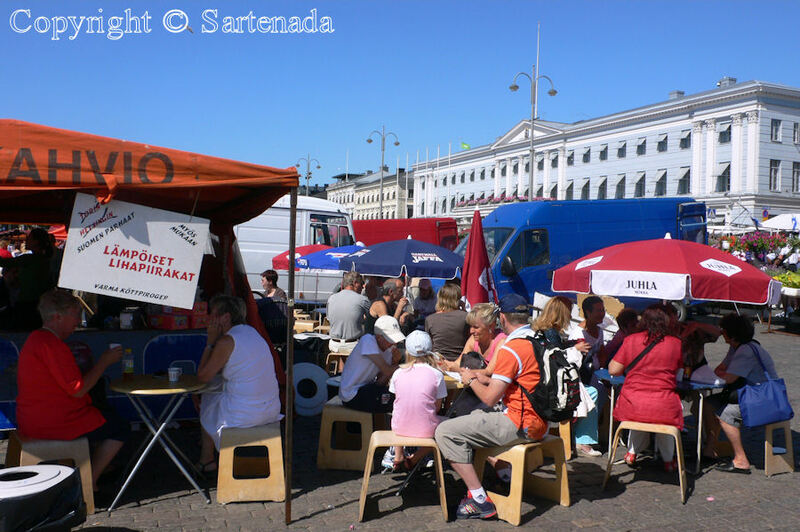 Matti, this is a great place to go – how often is it open – every day? 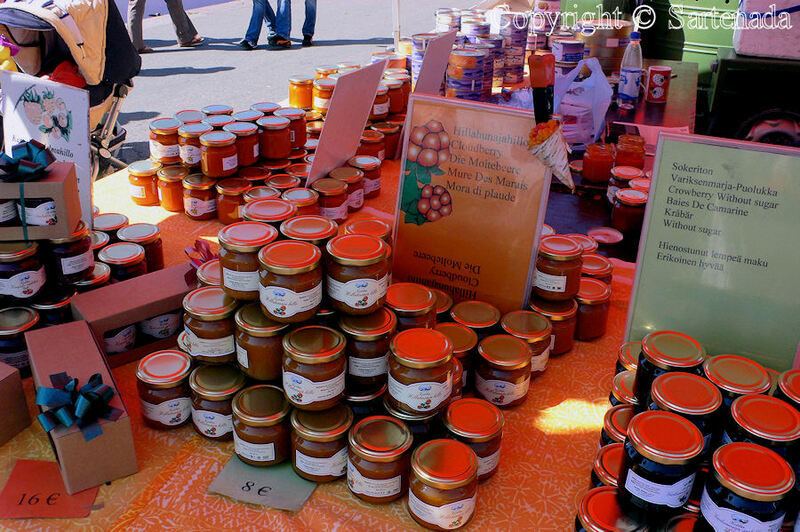 Here we do not have such markets with so many different things to buy. 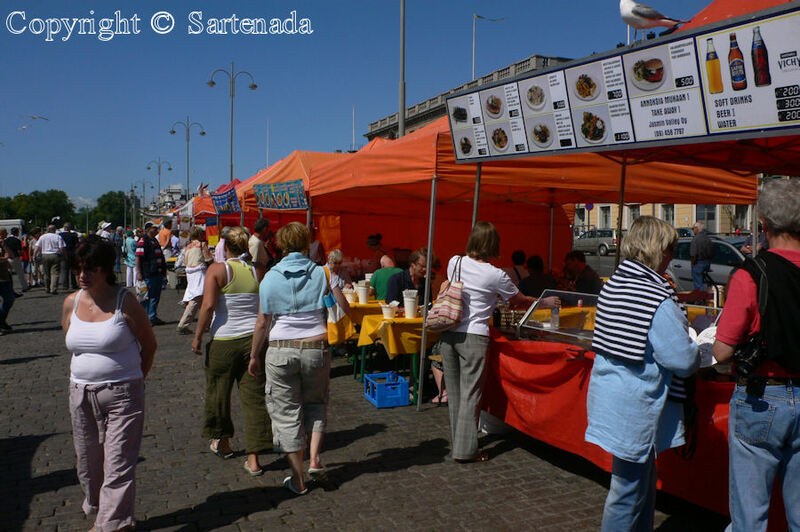 In many towns we have markets – with vegetables mostly. Thank You. It is open year around, but during hard winter there are not so many sellers which is very understandable. My mother-in-law sold a variety of floral products for many years on this market and her feet nearly froze because the cobblestones are ice-cold in the winter. I am very glad that You found something which pleased to You. Thank You. Wow, I could spend all of my money there and really enjoy doing it, especially in the shop in photo #8! Thank You. Great finding, indeed. The time to use pullovers is coming here soon. I have had venison before – I absolutely love it. 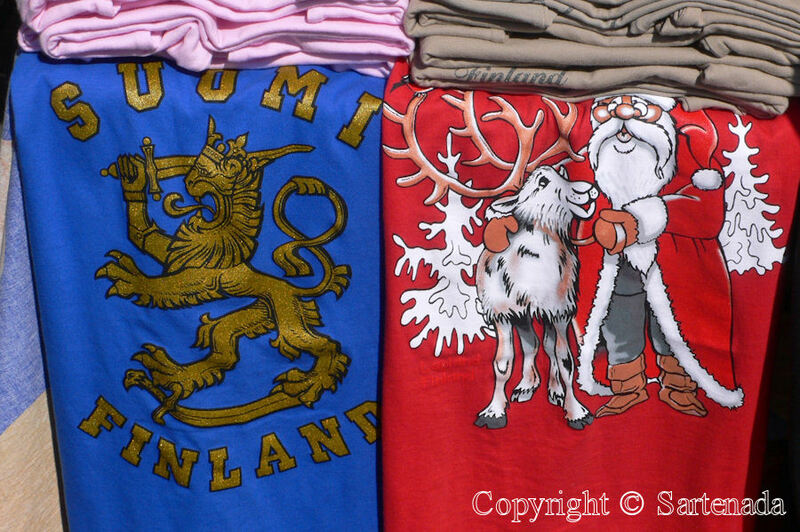 Maybe I should make a trip to Suomi. Thank You commenting. Here in “Suomi” wild game cooking is very general in our restaurants. 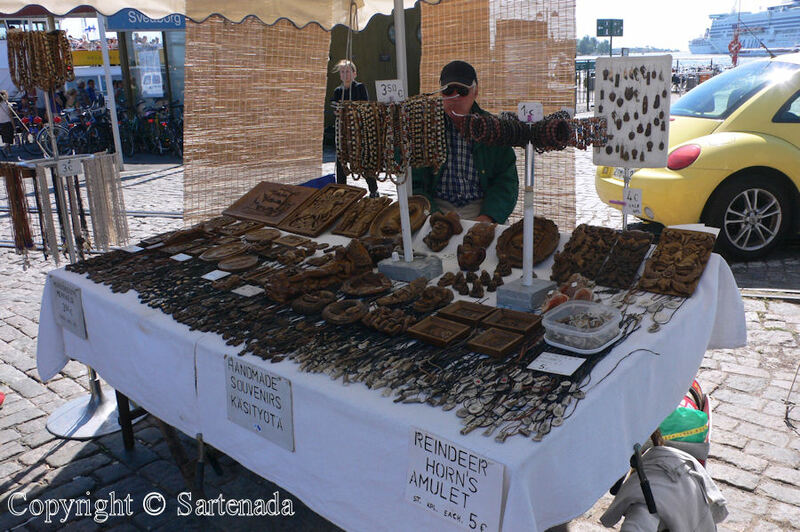 Reindeer meat is expensive. 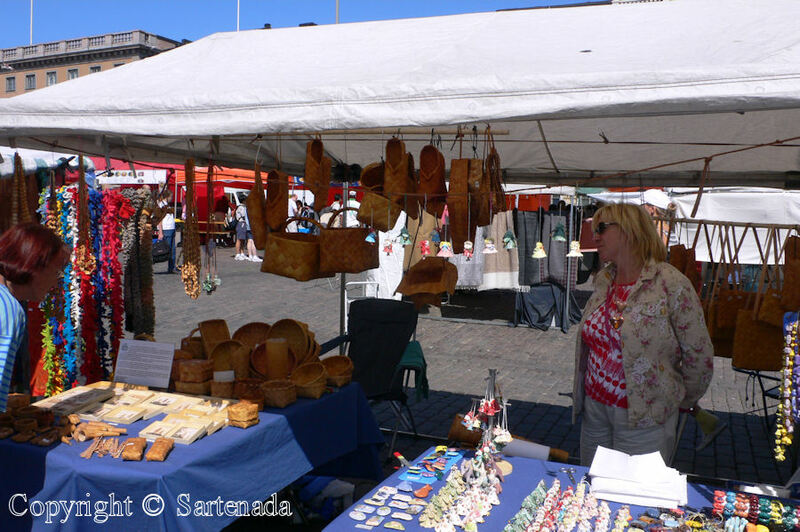 It is understandable, because they are bread far in the North, in Lapland as we call our country beyond the Arctic Circle. In my series telling from our summer holiday which I’ll start in the beginning of next year, I have good photos from reindeers eating among motorcycles for example. Thank You. 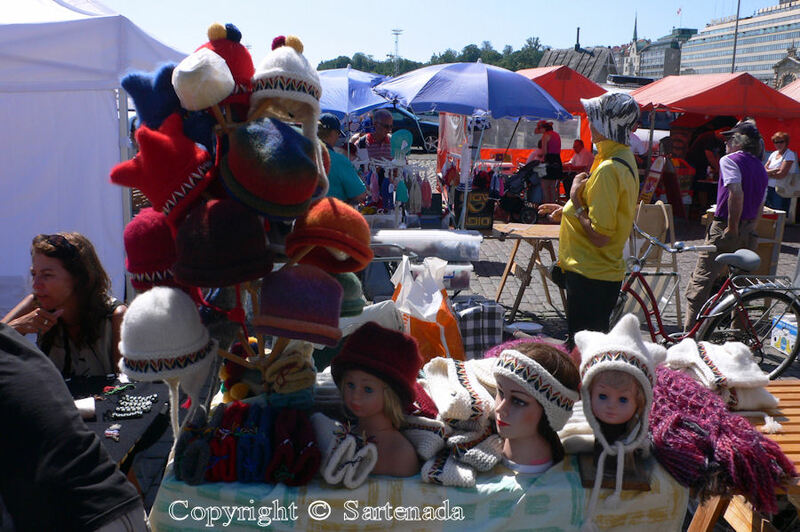 Well, it is a pity that in places like these, prices are in “heaven”. Tourists get a wrong image. 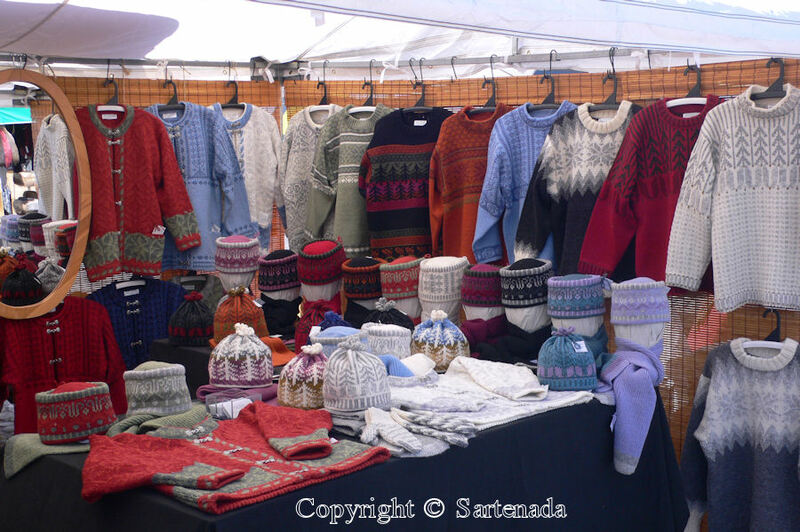 The fact is that our prices are high, but if one is walking few hundred meters / yards away, prices start to come down. The phenomenon is worldwide known and it is good to know it. Thank You. I am glad that You felt it in that way when looking at my series of photos. 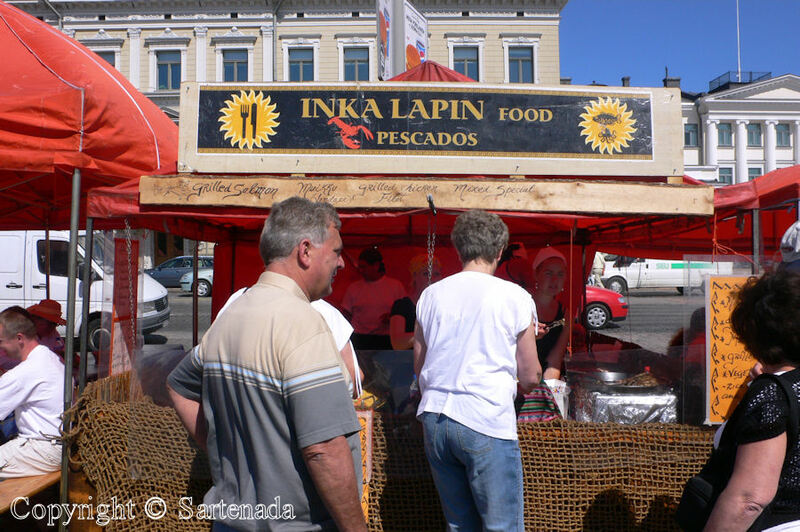 That’s where my mother used to do her shopping – eggs, vegetables, fish and so on. Thank You for Your memories. That is true that on this market one can buy fresh farm products in addition to great selection of fishes. I especially remember potatoes from Loppi. 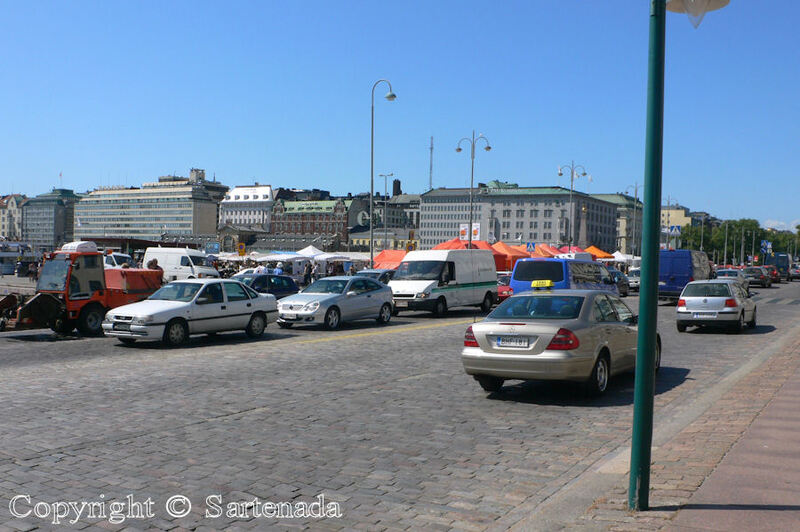 Even if the prices are high, I think it would be wonderful to visit Helsinki and this square. Thanks for taking us there. Your photos are wonderful. Thank You for Your opinion and comment. Qué buen día para hacer compras! Ahí se consigue de todo. 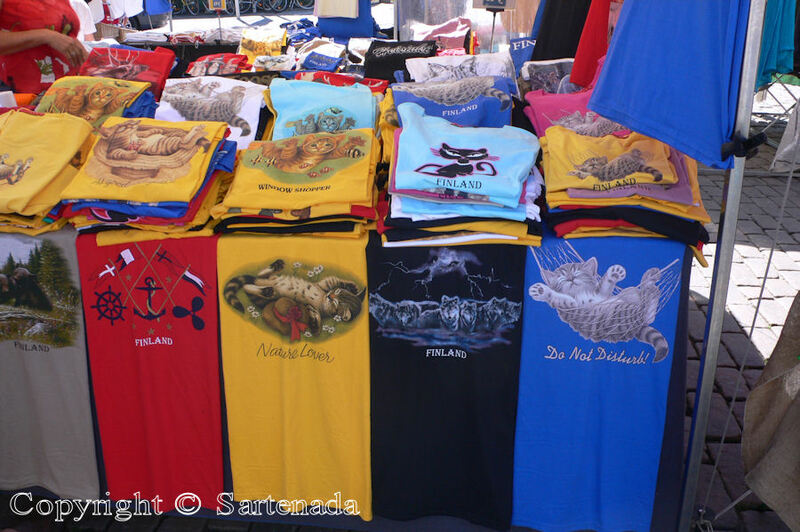 Me gusta la variedad de artículos y los materiales, igual que las camisetas de Finlandia con gatos. Muy lindo lugar para salir a divertirse y comer un rato en un soleadito día. ¡Qué alegría recibir tu comentario tan hermosa! Estoy muy contento de que hayas disfrutado tu visita en este mercado a través de mis fotos. ¡Que tengas un buen dia, amiga mía! 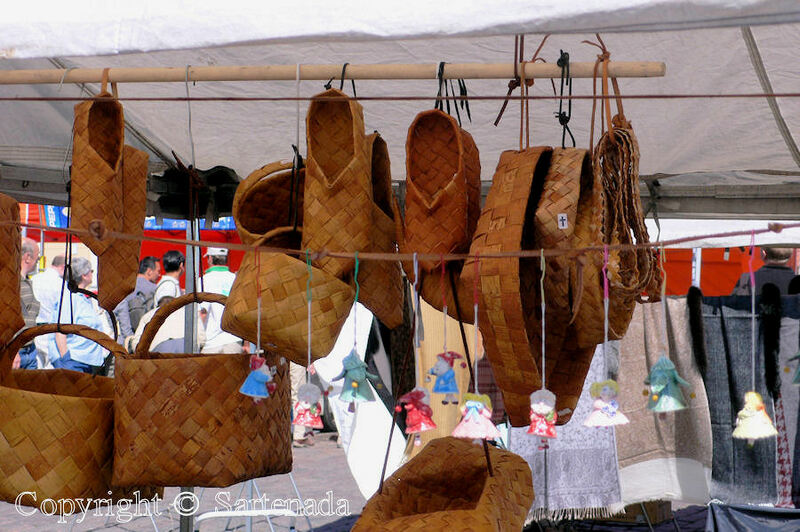 Looks like a very enjoyable place to visit…I was trying to figure out what the baskets in photo 13 are made of. Is it some kind of bark? Oh, thank You. I am very glad that You noticed things made from Birch bark! 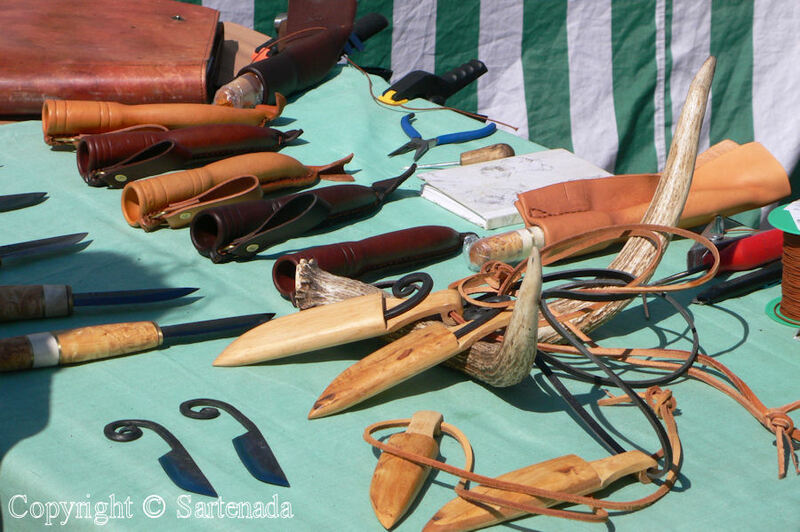 My late father made many nice things from birch bark. Being a shoemaker, he made also many shoes from this material. It is a pity that my late father’s house was burnt by lightning in the seventies. So also at same time my memories from my childhood went up in the smoke. 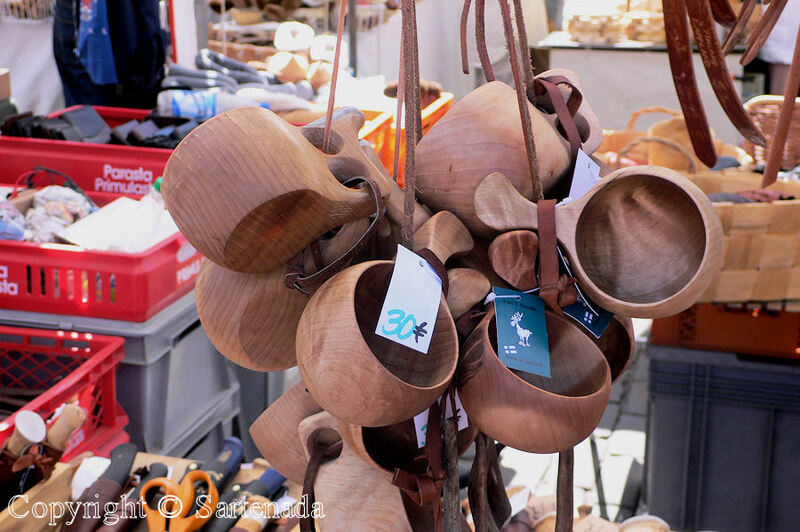 Those bark shoes are very popular souvenirs from Finland. Maybe they can be compared with clogs from Holland. Beautiful colorful images. Thank you for taking me to Finland! I looked back at my blog and saw a comment from you last year, I must have missed it, I’m so glad I found your blog again. 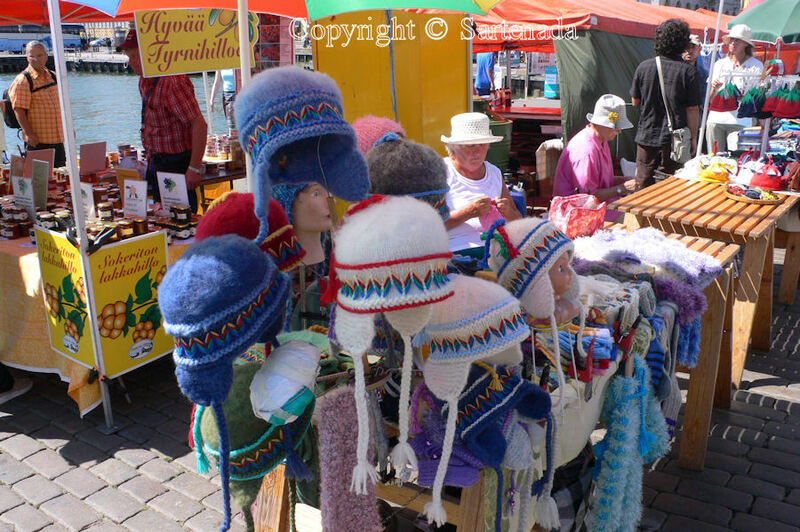 The market square is so full of life. I’d love to be walking there on a clear summer day, seeing so many things that would be new to me. How nice that You visited my site and left so lovely comment. Thank You. 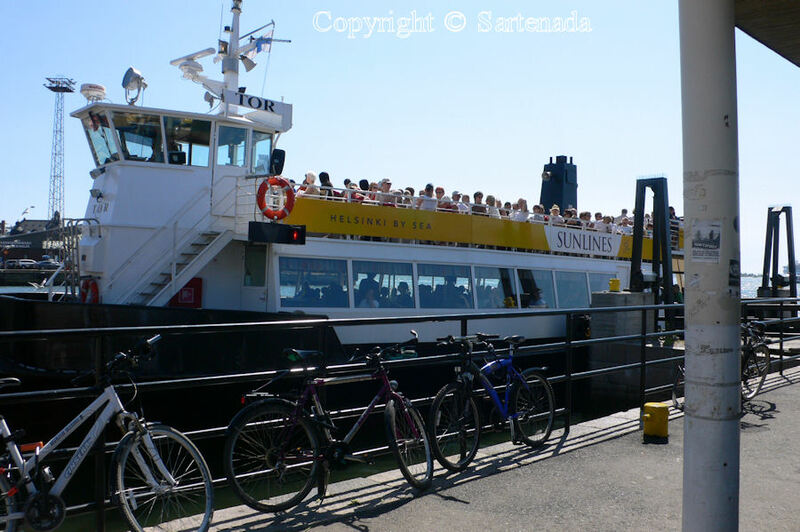 Tomorrow (Friday), I’ll publish a post from my Seaside walk in Helsinki showing all that I saw. Muy buenas fotografías, muy interesante tu post. Allí en unas de las fotografías te observe con una blusa de Chile, tu eres de Chile? Muchas gracias por tu comentario. 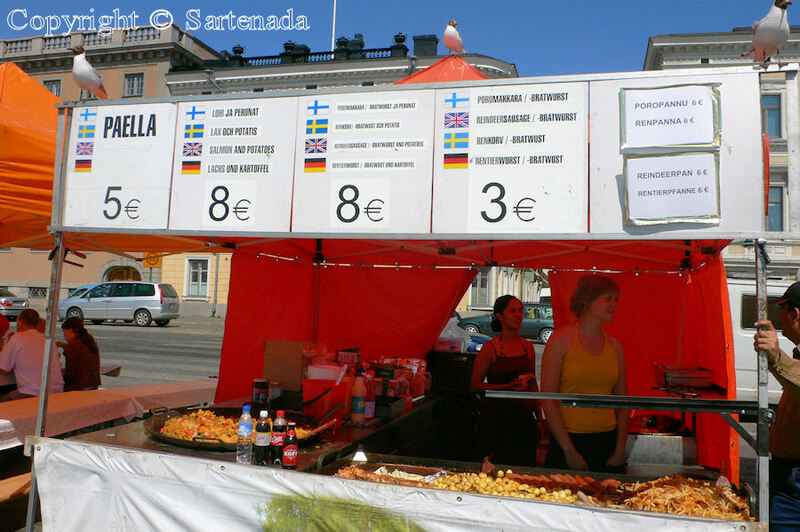 No, no soy de Chile, soy finlandés. 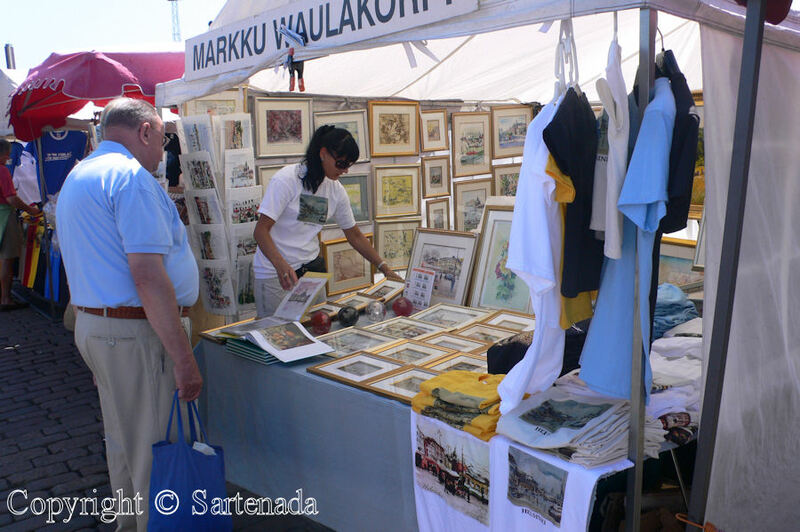 Esa camiseta compré en Santiago de Chide el en 2004. Mi hija trabajaba allí durante tres meses enseñando uso de la computadora a una empresa finlandesa. Fui a ver a ella durante dos semanas con mi nieta. Viaje inolvidable. Parece que, como turista, es más fácil sacar fotos aca. I’m in Hog’s Heaven! Snort, snort, oink. I could sit there with the others and sample the foods, too. Delish! I think it’s time to go bake something in my kitchen already. It’s beautiful and brings back so many memories ! 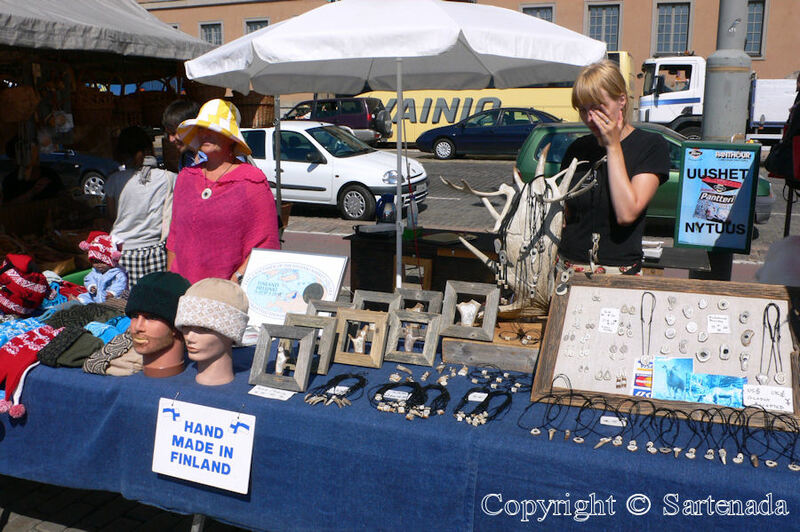 I did not remember Helsinki’s market being so varied and large. 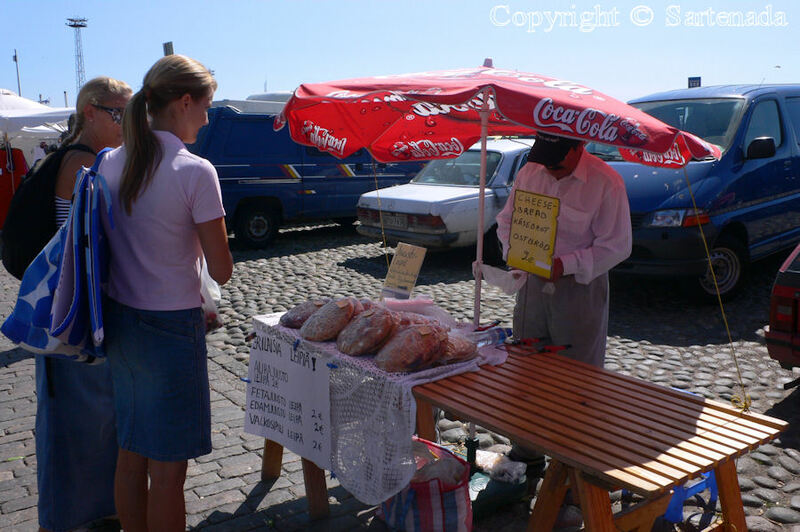 I mostly remember the fish market. 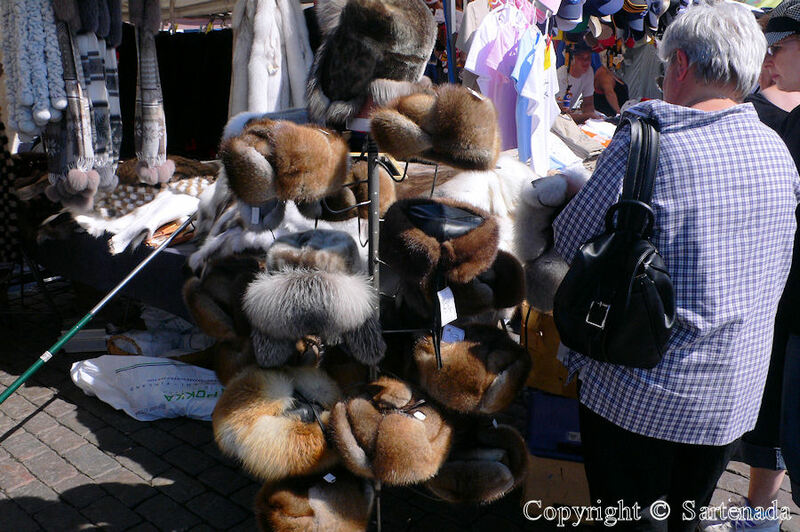 Coming from Moscow Helsinki was like a holiday, full of colours and a wider choice of products, tastes. 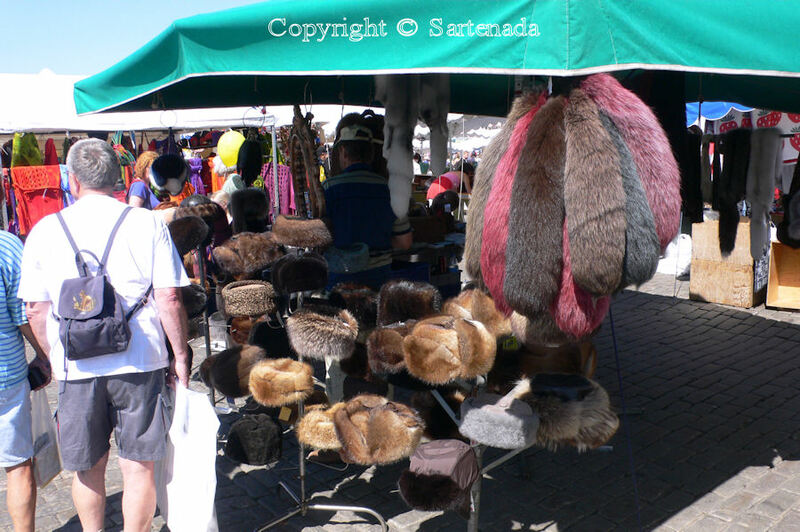 I love those fur chapkas, the knitted pullovers, the leather and wooden articles, the small bistros to sit and eat. What a delightful tour you have invited us to ! Thanks again . Thank You. I know the feeling when You came from Moscow to Helsinki. 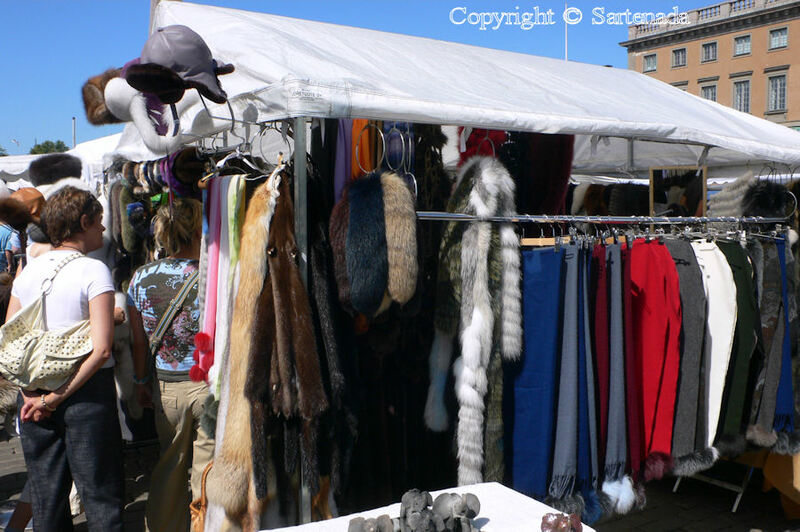 🙂 So nice to read that You found interesting things on this market in Helsinki. Hello & thank you for your kind comments on my blog and at http://www.facebook.com/sonjacaywood.art. 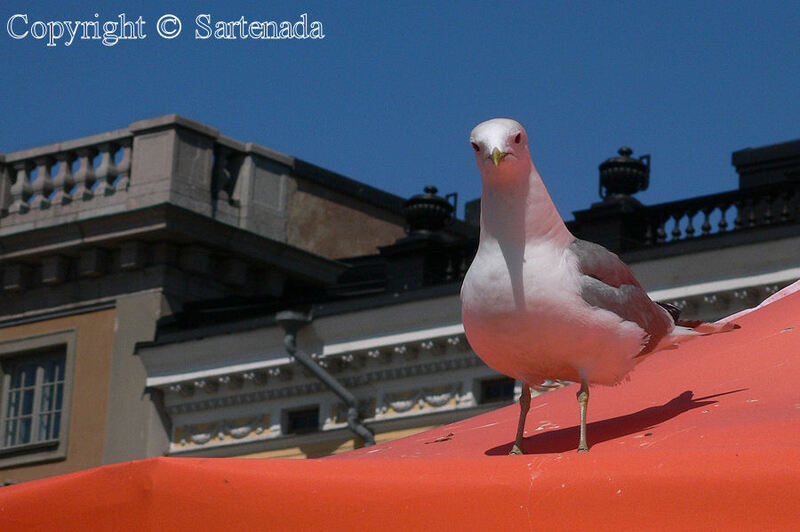 I love your Helsinki photos! You have an eye for beauty, and I appreciate it:) Thanks for sharing. It was very nice that You visited on my site and left Your comment. Thank You. This is one exciting market. I didn’t know where to start. Each photo as fun, colorful and unique as the other. No wonder the tourist find it exciting. I will too. Thanks…. How nice to read that You did found it exciting. 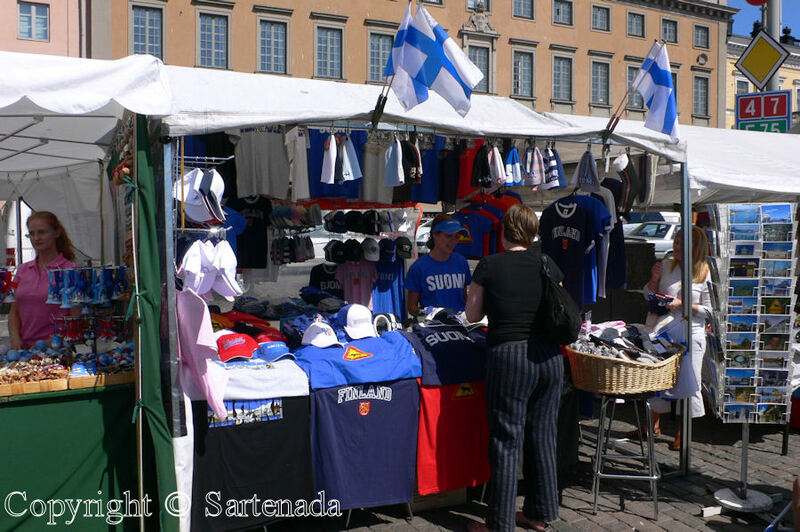 When visiting in Helsinki, I go to this market and check what’s new there. Thank You for Your visit and comment.